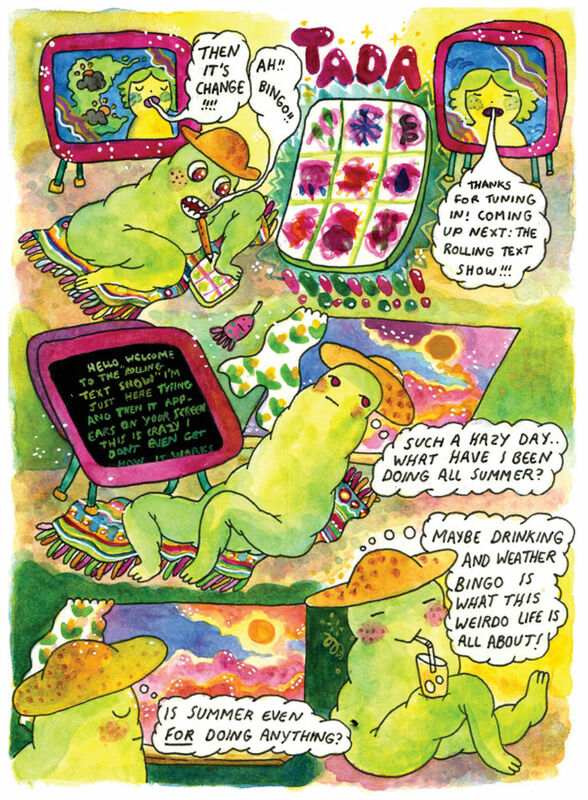 Becca Tobin’s work has been a long-time favourite here at Broken Frontier for many reasons, not least of which for its spellbinding colour. We spoke of their issue of Youth in Decline’s Frontier series as employing a “kaleidoscopic use of colour and casual, melting strangeness that entice the reader with their alluring pull” and described Hotel World from Comic Book Slumber Party as “a hallucinogenic swirl of colour”. Last year that was recognised when Tobin was voted ‘Best Colorist’ in the 2018 Broken Frontier Awards, with the colour sections of the anthology Understanding underlining what a powerful storytelling tool it is in their practice. 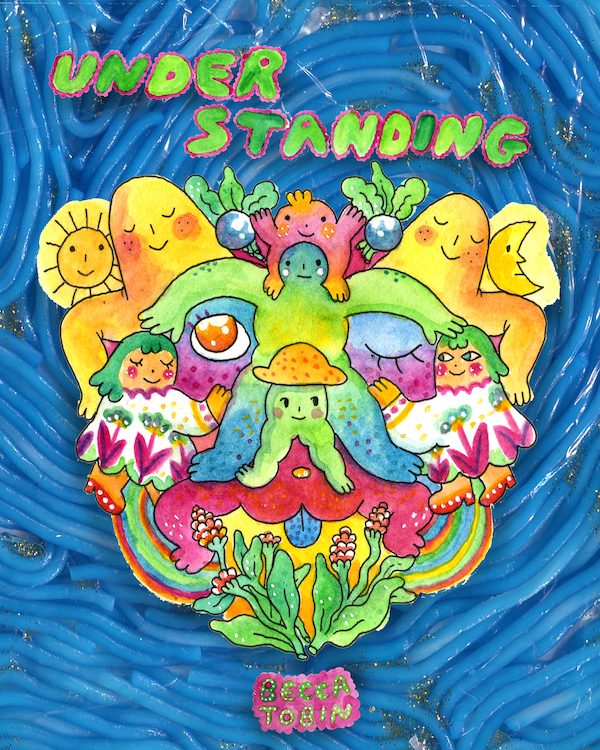 Understanding was published in the second half of last year by another regular presence in our annual awards, the ever boundary-pushing publisher Retrofit Comics whose curation of experimental, alternative and idiosyncratic comics over the last few years has been exemplary. This collection, split between monochrome and colour shorts, is an excellent introduction to their style; comics that often have very recognisable human motifs at the core of otherwise eccentric and surreal presentation. With Tobin’s work there’s often an element of the reader being asked to find or take their own meaning from their off-centre stories but there are recurring themes in Understanding that speak of ideas of identity and personal reflection. In ‘Who is That?’ a house party seems to act as a large sprawling visual metaphor for a journey of self-discovery and introspection while ‘Skinny Dipping’ speaks of letting go and moving on. Its central characters – more of Tobin’s signature blob entities – literally shedding their old skins and almost spiritually transforming. A sense of artistic allegory permeates many of the offerings herein, then, with shorts like ‘Symbiosis’ – ostensibly a bizarre analysis of the body’s inner workings – speaking as much to us of the values of community and wider societal accord as it does oddball anatomical ruminations. It’s that juxtaposition of the weird with the routines of every day that makes Understanding such an enticing book of narrative contradictions. Tobin wraps up both the minutiae of life and its bigger existential questions in disarmingly outlandish visuals, sometimes all the more cutting for their gentle subversion (as in the door-to-door capitalist evangelists of ‘Good News’) and sometimes just sweeping the reader away in a semi-stream-of-consciousness rush that merges the superficially random and the poignant (as in the longer-form ‘Lunchtime’). 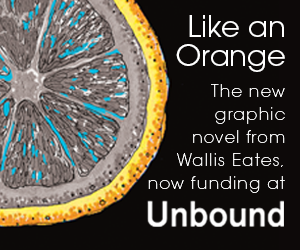 The unique use of colour in Understanding embeds not simply mood, atmosphere and theme in its pages but also embodies a sweeping sense of place and time. It feels organic, alive and almost as if it’s moving across the page as you’re reading. Psychedelic, hallucinogenic and intoxicating seem woefully inadequate adjectives to define the melting layouts on display. 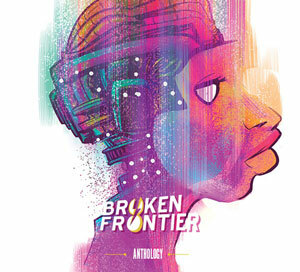 While the sometimes borderline oblique storytelling of Understanding will perhaps not appeal to those outside of an alt comics audience, our Broken Frontier readership obviously agreed with us about the use of colour in its pages, giving it a resounding vote of appreciation in last year’s BF Awards. Order it online from Retrofit and take the opportunity to immerse yourselves in that multi-hued magnificence for yourselves. 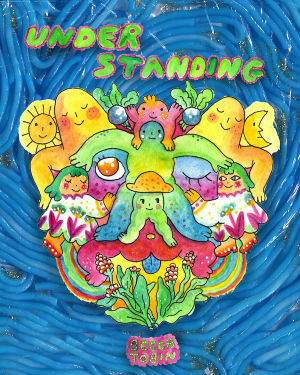 You can buy Understanding from Retrofit in print here and in digital format here.